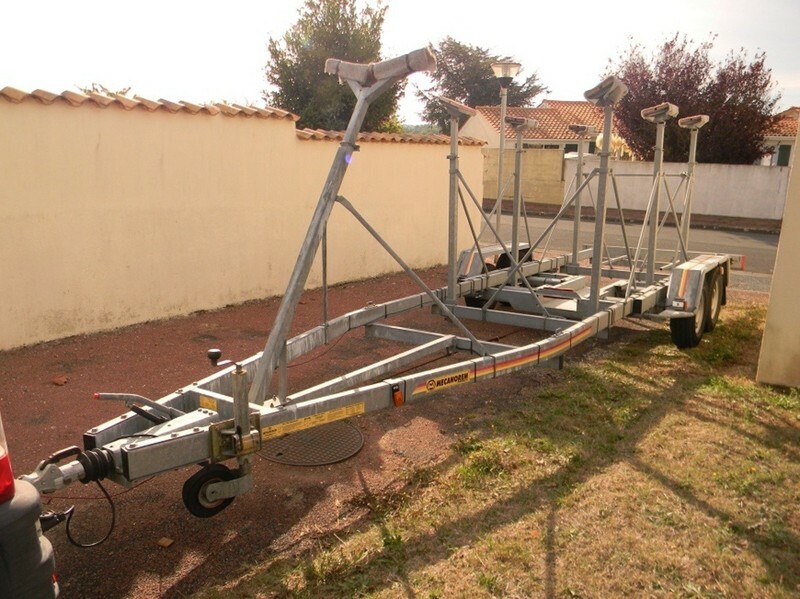 In excellent condition, this trailer can transport large keel boats. Made originally for a ‘Grand Surprise’ boat, it can be adjusted for other models. Hardly used, the trailer has never been in sea water.